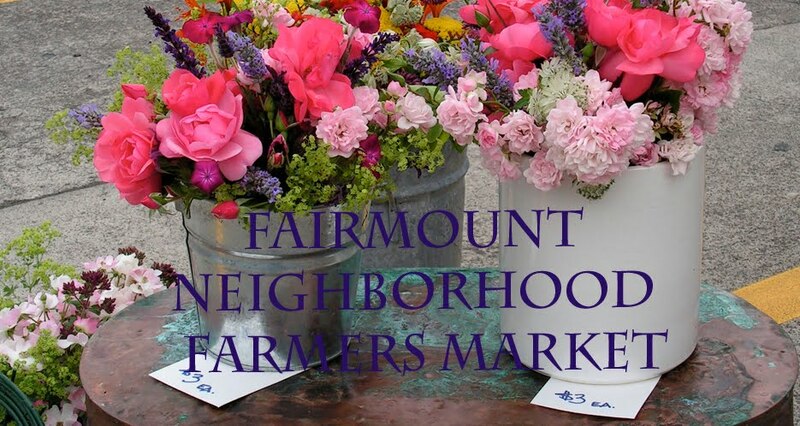 This Sunday at the Fairmount Neighborhood Farmers Market you can look forward to pastured meets from Fair Valley Farm and fresh produce from Sweetwater Farm. For the past several weeks, Sweetwater Farm has had delicate fennel bulbs, which are wonderful paired with strong flavored seafood, as in this fennel and sardine pasta. 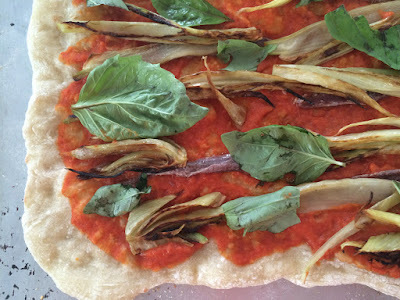 I'd picked up a fennel bulb at the market with plans for a quick Monday night pasta dinner, but under pressure from a powerful pizza lobby in the household, I mixed up a batch of Jim Lahey's no-knead pizza dough on Sunday evening instead. 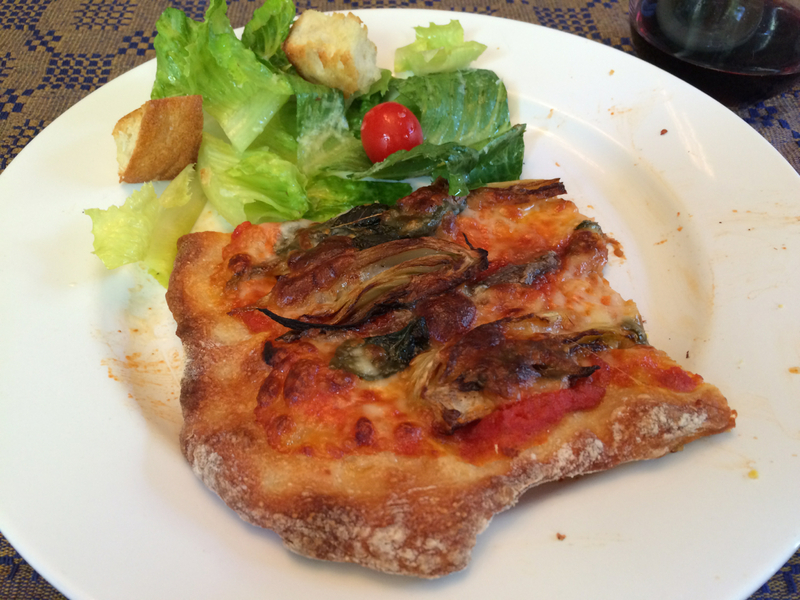 The next evening, when looking around for interesting toppings, I came across the bulb and realized it would be a perfect addition to an anchovy pizza. 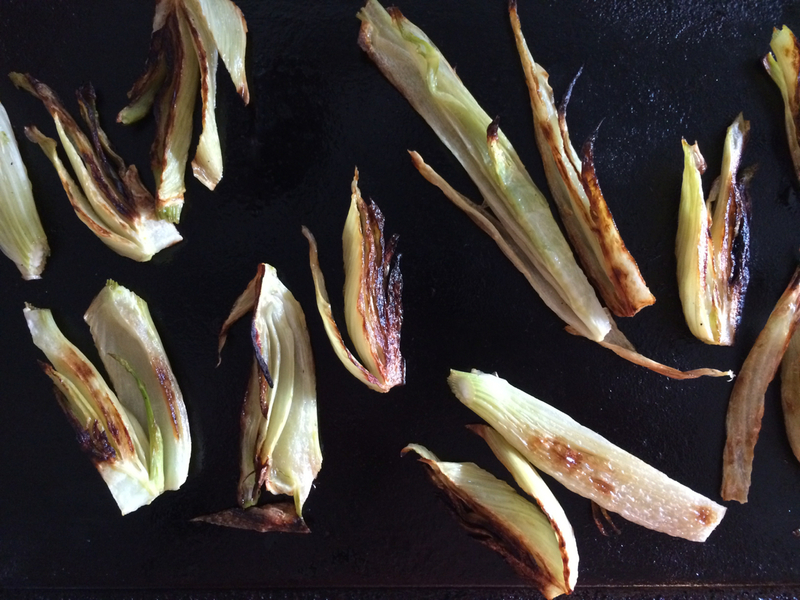 I slid our cast iron griddle into the preheating oven, sliced the fennel bulb, tossed it with olive oil and salt, and then spread it onto the hot griddle to sear. A few minutes in the preheating oven produced caramelized and soften fennel that melded beautifully with pungent anchovies and fresh basil on my new favorite pizza. Preheat the oven to 500 degrees and insert a cast iron griddle or baking sheet to preheat. On another shelf, place a pizza stone if you are using one. Trim the fronds from the fennel bulb and slice the bulb into thin wedges. 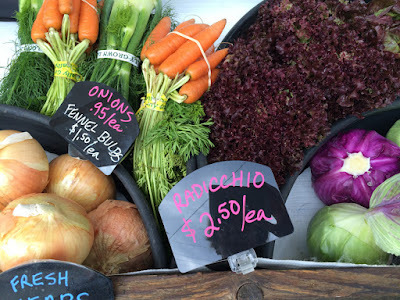 Toss the fennel pieces in a drizzle of olive oil to coat and sprinkle with sea salt. When the pan is hot, spread the fennel pieces over it in a single layer. Roast the fennel pieces for about 8 minutes, until nicely browned, then flip and roast for another 3 to 5 minutes on the second side until they are soft through. Divide the dough into four balls, flour them lightly, and shape them according to Lahey's instructions (or use a rolling pin to roll them out on a silicone mat). Sprinkle polenta on a baking sheet or pizza peel and place the pizza dough on top. If you like a crisper crust, pre-bake the crust for about 5 minutes. Spread a thin layer of tomato sauce over the dough, distribute over the roasted fennel, anchovies, and basil leaves. Sprinkle with red pepper flakes and distribute over the sliced mozzarella. Bake for about 8 to 10 minutes until the crust in browned and the cheese is bubbling. Enjoy.